Yes, you read that right! 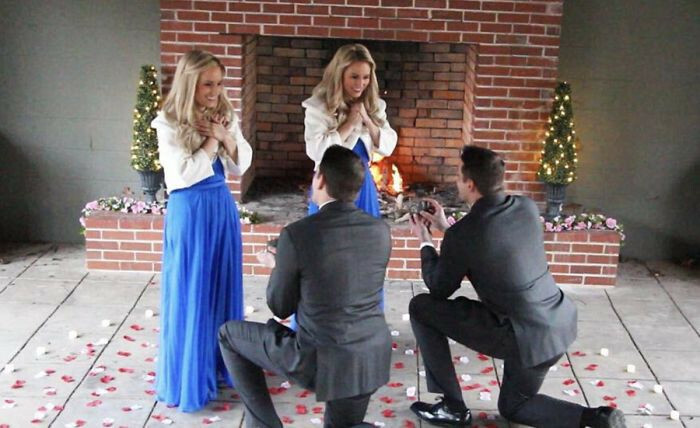 Identical twin sisters, Brittany and Briana Deane got proposed to by their identical twin boyfriends, Josh and Jeremy Salyers on the 2nd of February and now in 2018, they got married at the Twins Day Festival in Ohio. How absolutely insane and awesome is this! 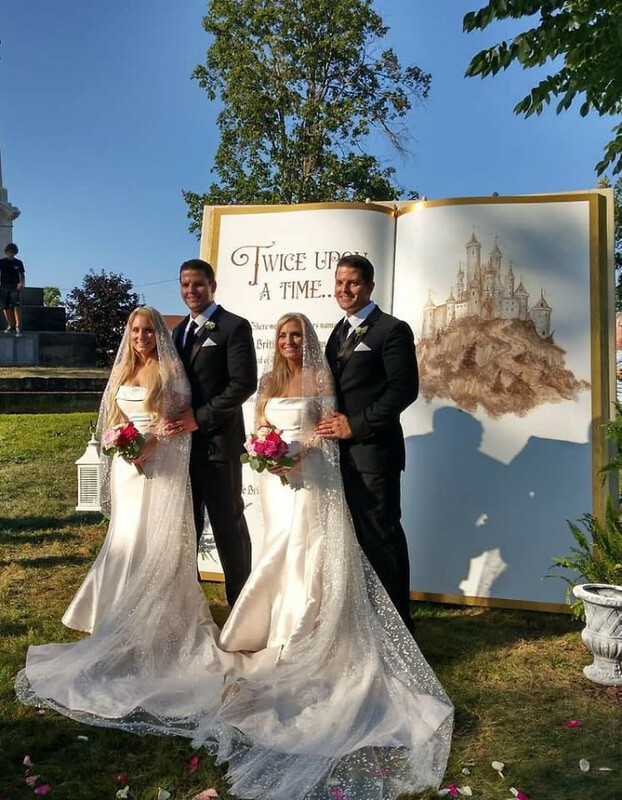 The wedding even had a theme called, "Twice Upon a time", and identical twin ministers led the ceremony. "It’s really been a fairy tale come true. 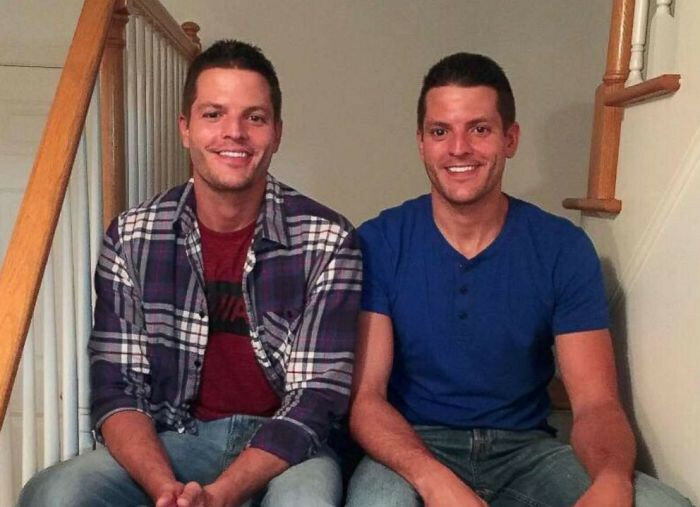 Marrying twins is something that’s very important to us," Briana (who married Jeremy) said. 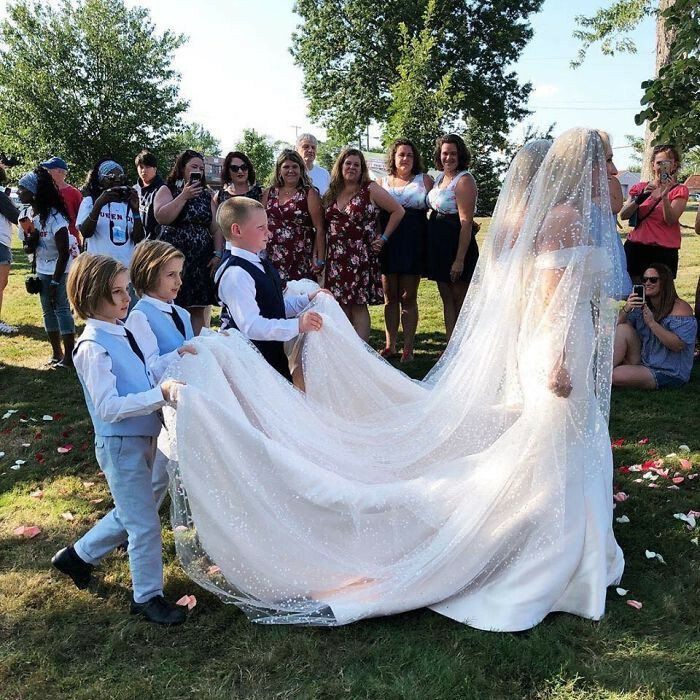 She even called the ceremony a ‘double fairy tale.’ "Even when we were little girls I can remember being in kindergarten, knowing that that is what we saw for ourselves." "We knew that the chances were incredibly scarce. The stars had to align for our dreams to come true. 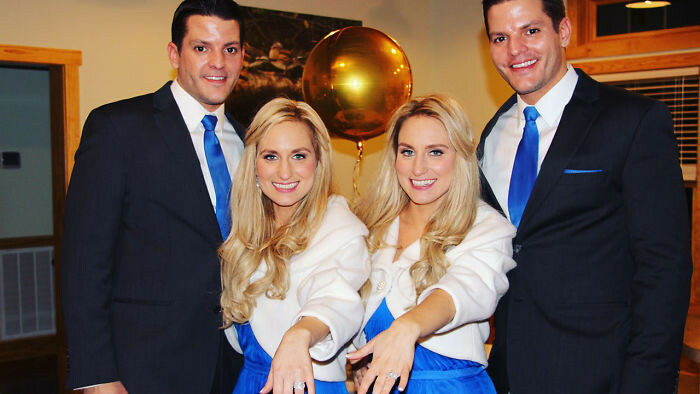 I get to marry the man of my dreams and at the same time I get to look over next to me and see my twin sister marrying the man of her dreams," Brittany added. 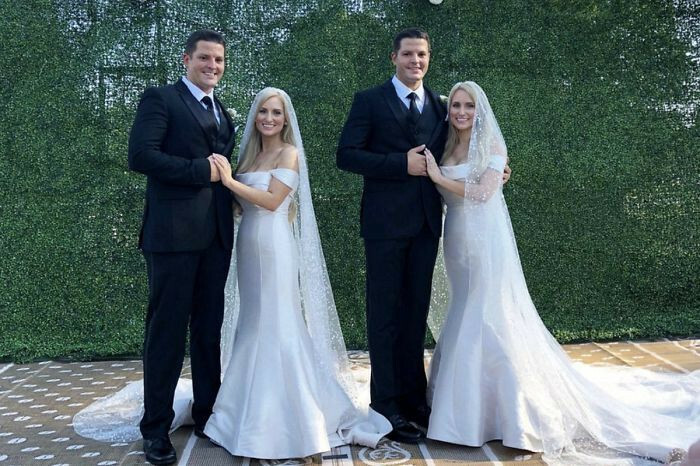 The brides decided to wear the same dresses and the grooms rocked their identical tuxedos. Funny enough they met last year at the same festival! The ladies have attended before, but it was the men's first time at the festival. They met on the very last day. 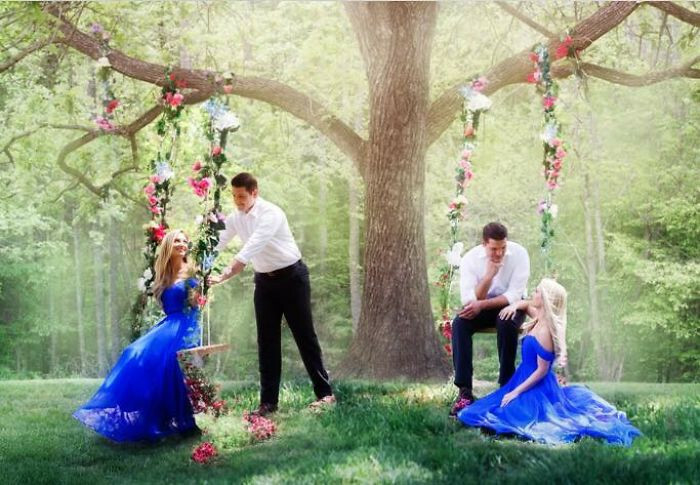 "I remember vividly the first time Brittany and I saw Josh, and Jeremy at the twins festival,” Briana said. "I also remember the first time we all spoke the last night of the festival. Its sort of like everything was in slow motion." 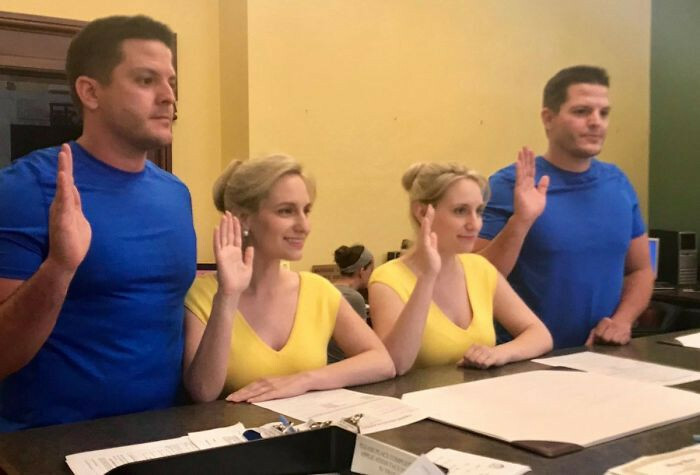 "If they couldn’t find identical twin girls that matched up well with them, they were never getting married," Brittany said. "I think that they experienced a lot of the same challenges dating what we call singletons, that means non-twins. It’s hard when you’re dating someone and they don’t understand the twin bond." And if that wasn't enough! 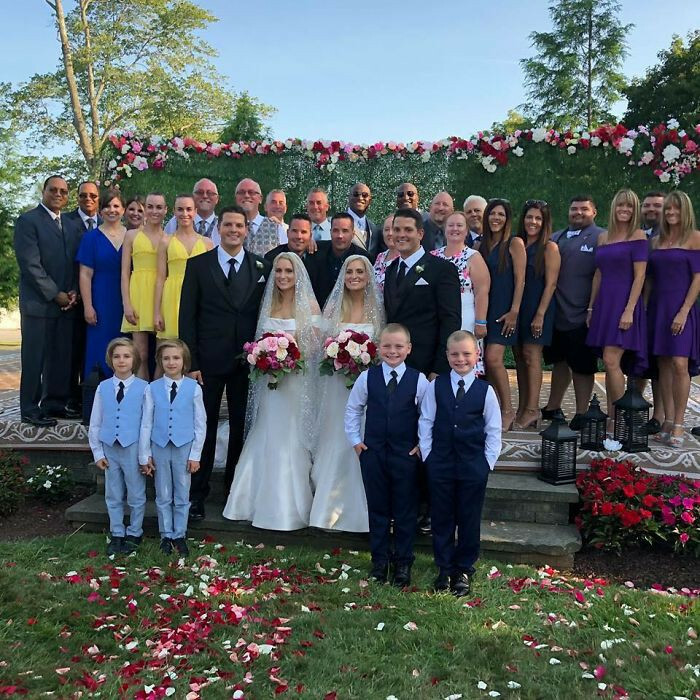 They will all be staying in the same house, raising their children together. 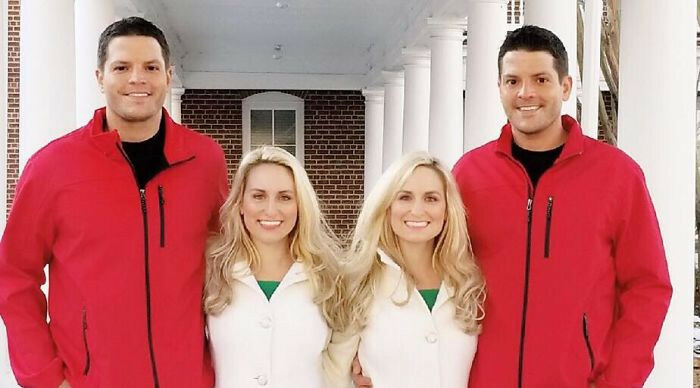 The identical foursome met at the Twins Days Festival in 2017. However, it wasn't Briana and Brittany's first time. For the guy's, however, it was their very first time! "I remember the first time we all spoke the last night of the festival. It’s sort of like everything was in slow motion." "It’s really been a fairy tale come true. 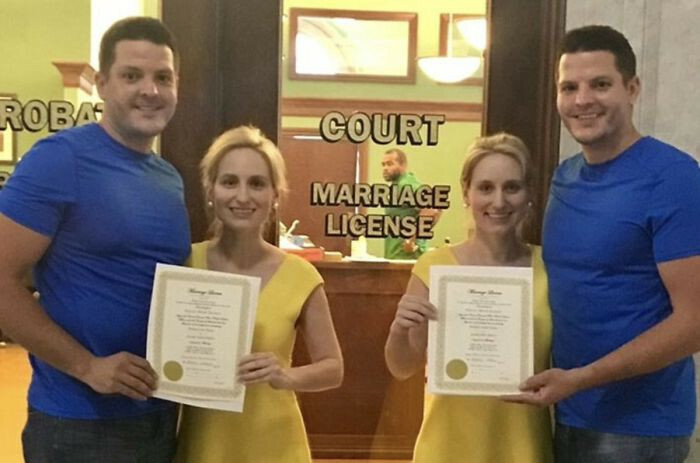 Marrying twins is something that’s very important to us." "Even when we were little girls I can remember being in kindergarten, knowing that that is what we saw for ourselves." "We knew that the chances were incredibly scarce. The stars had to align for our dreams to come true." They even decided to hold the wedding at the place they met. 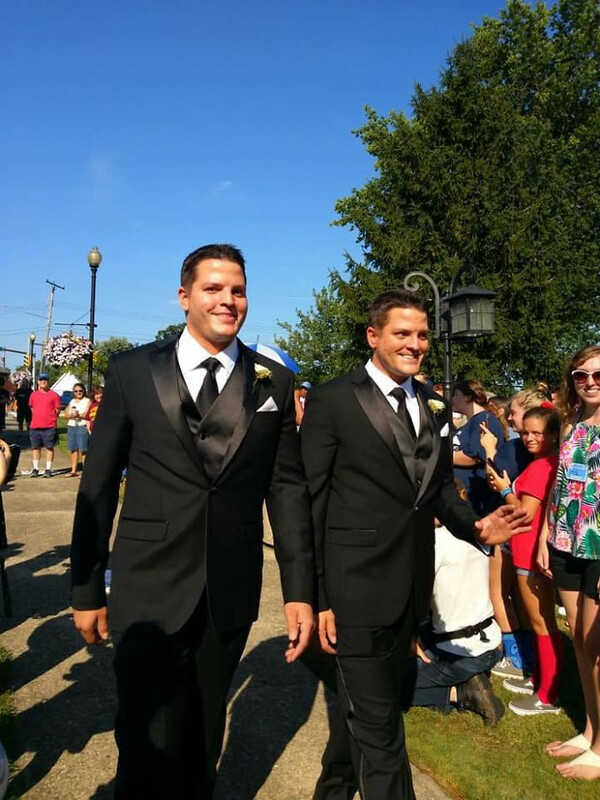 How handsome are these two in their matching tuxedos? And there were even twin ministers, I mean come on people this is the fairytale we all want! 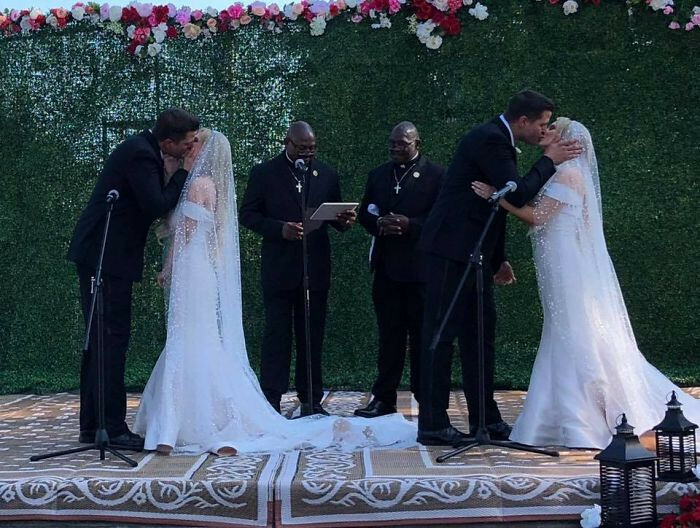 Just look at the happy couples! The twinning, however, doesn't stop there. They will also be staying in the same house, raising their kids together. This is how everyone responded to the news!